Nobody knows Coastal Virginia better. A Hampton Roads native, Jeremy is a widely-respected REALTOR® and was named the REALTOR® of the Year in his market in 2016. He is also a 2018 Five Star Professional, representing the top 2% of the Coastal Virginia marketplace. He consistently ranks tops among his fellow agents within Long & Foster, Realtors -- Virginia's #1 real estate firm. 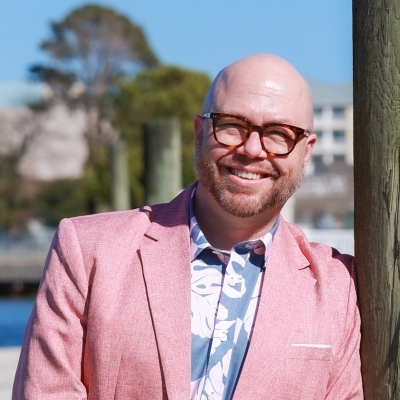 What's more, his results-oriented approach has landed him in the Circle of Excellence, and he currently ranks in the top 2% of all agents in Coastal Virginia (Hampton Roads). Jeremy's exemplary level of service stems from Buffini & Company coaching for over 13 years and is informed by previous career and educational paths in London, Oxford (UK), Washington (DC), and elsewhere. Calling all investor buyers! Established rental history. Current Section 8 lease expires 12/31/19. One of the largest back yards in the neighborhood, HVAC hot water heater and roof replaced in 2013. Desirable Lynnhaven Middle and First Colonial High School. Near interstate, bases, beaches, and Hilltop shopping area and much more! "Jeremy did a phenomenal job of finding the exact home we were looking for. He was able to find a home VERY quickly that made both my wife and I happy. From the first time talking to him to the time we closed was slightly under 3 weeks." "Jeremy was amazing ! He was always helpful and never pushy while providing numerous listings and helping us narrow down our list. His knowledge and expertise made our home buying experience a breeze. I couldn't imagine buying a home without him on our team." "Jeremy easily exceeded our expectations in BOTH the buy and sell process. He helped us sell our first home and buy our second. He is the total package in a superb, professional agent. Jeremy is very well plugged into the local market and applies that knowledge to what YOU want/need. We could have bought more house, he knew it, never once did we feel pressure to "trade up". He wants what you want. All the while, very savvy into the ways of the real estate business, both good and bad. If we ever need to move, there is no question, we are using Jeremy Johnson."